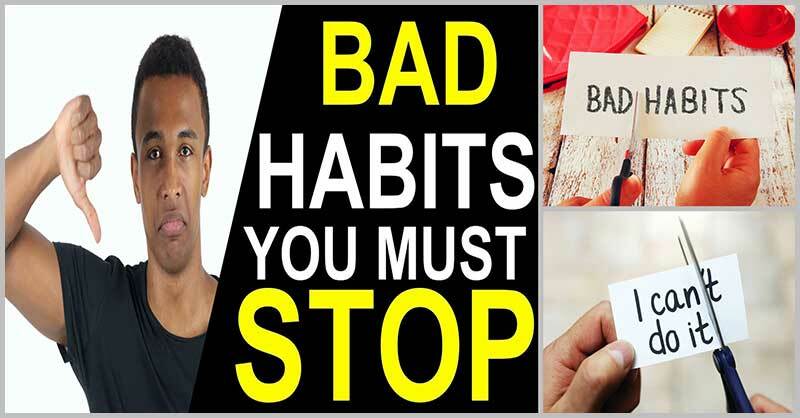 There are certain habits you need to stop doing if you really want to improve your overall health. Some people might think that these things are not a big deal but in the long run, these can have negative effects on our health. Continue reading for you to find out if you are doing any of these bad habits. Biting your nails can cause damage to the nails, infection of the skin surrounding the nail, upper respiratory and other infections, as well as damage to your teeth or even crack a tooth. According to experts, this habit is frequently made worse by anxiety. Some people think that chewing gum can give them fresher breath or alleviate their tension. The truth is, chewing a piece of gum all the time could put too much pressure on your jaw. Holding your pee for too long can cause negative effects on your health. Computer vision syndrome is the result of staring at a computer screen for seven hours. You may experience visual issues such as eye strain and retinal damage due to an extended staring at the computer screen, according to Dr. Ansari. Dr. South-Paul explains that carrying a big purse on one side can disturb the angle of a person’s neck and cause pressure in the nerves that come between the vertebrae in the neck and provide sensation to the arms thereby causing pain, tingling, and numbness in the shoulders and arms. According to Cleveland Clinic, the theory behind this is that bacteria can move into the bloodstream, thus creating inflammation of the blood vessels. In order to avoid this, you need to floss once a day, brush twice daily, and visit your dentist regularly. Wearing high heels kill your feet. It affects the health of your feet, knees, back, and hips. It can cause bunions, Achilles tightness, sore calves, ankle sprains, weakened ligaments, and lower back pain. Aside from this, flip-flops and other shoes without support can also damage your body as it actually changes the way you walk, thus causing problems from your feet up to your hips and lower back. Taking a break from sitting every 30 minutes. Standing while talking on the phone or watching television. Walking with your colleagues for meetings rather than sitting in a conference room.